As a Black / Doom fan, I do know Tim ‘Typhon’ Yatras from bands and projects like Austere, Pestilential Shadows, Woods Of Desolation, Grey Waters, Battalion, Kinstrife & Blood and many others. Apparently Tim has been active within the Electronic and Pop Music scene as well (no further comment), but this review deals with his project Germ, which was conceived in 2003. 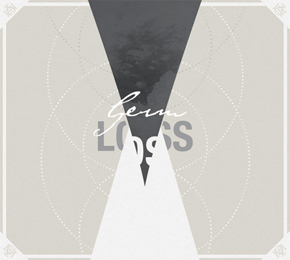 Loss is the second Germ-record, on which Tim did work several years. Now, finally, the whole was finished properly, and after signing to Eisenwald, the release is a fact as well. What does this album stand for? Well, actually, Loss is a mixture of several aspects Tim is known for. …and several details I didn’t know him for at all. It’s an amalgam of soft Electronics, poppy tunes, underground Doom / Black outbursts, progressive elements, melodious (True) Metal melodies, Post-Rock stuff, atmospheric keyboard passages, epic orchestrations, desolate / desperate mourn(ing)s, hymnic passages and so much more.